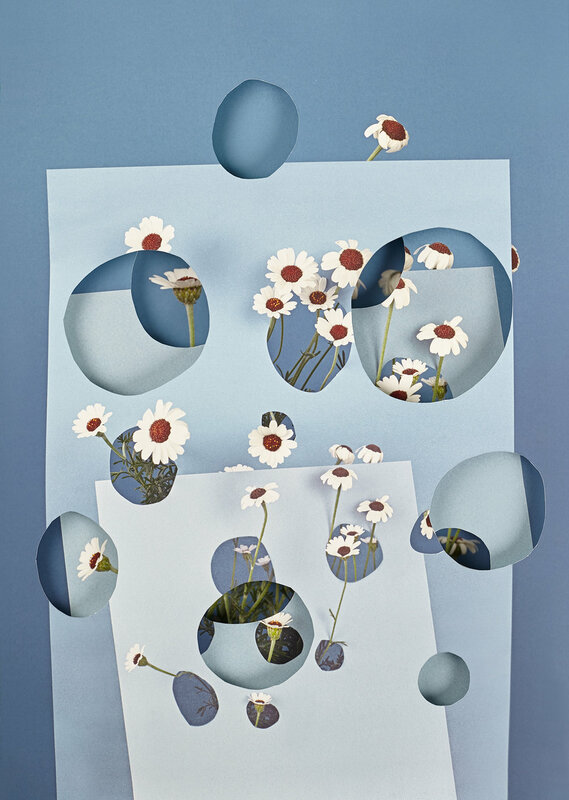 For Photo LA 2019, De Soto Gallery brings together recent works by Connie Samaras, Alma Haser, and Jonas N.T. Becker. Each of the artists contemplates nature, imagining the implications of possible futures through the lens of a metaphorical present. Connie Samaras’ The Past Is Another Planet (2016) came in response to an invitation by the Huntington Library to commemorate the great science fiction writer, Octavia E. Butler, one of very few black authors working in the genre whose social insights and political prescience are eerily relevant today. It blends views of the library’s botanical gardens with artifacts from the Butler Papers, their archive of the author’s hand-written journals and other ephemera. 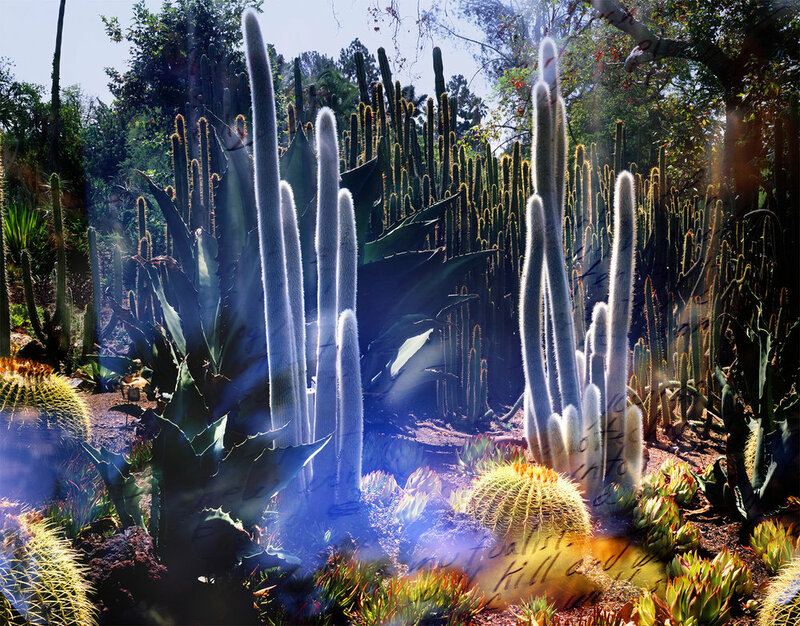 Using multiple exposures with a large-format camera, Samaras revives the remnant seeds of Butler’s feminist, Afro-futuristic worlds, inserting fragments from her book drafts and personal photographs into otherworldly vignettes of the Huntington’s extraordinary collection of plant life (itself intended as a microcosm of the world’s flora by another notable but starkly different visionary, the railroad magnate Henry Huntington). Dreamy and ghost-like, the layered images overlap the past with the present, flattening time and hinting at the cycles of history. Alma Haser’s latest series, Pseudo (2018), is commentary on “fake news” and the new rules of journalistic engagement, or lack thereof. 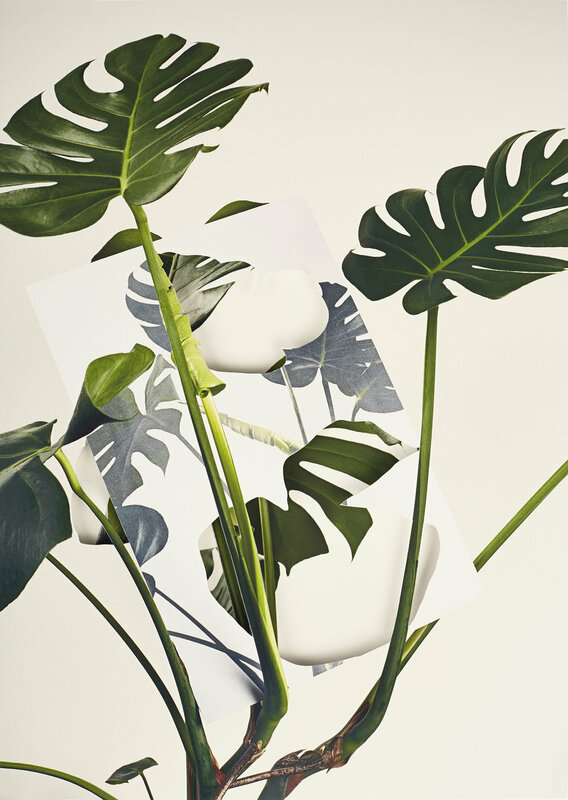 Haser’s still lifes of common houseplants are presented like botanical specimens, dissected with a certain technical accuracy but where each successive layer looks slightly less authentic with bits carved out or replaced and re-photographed. 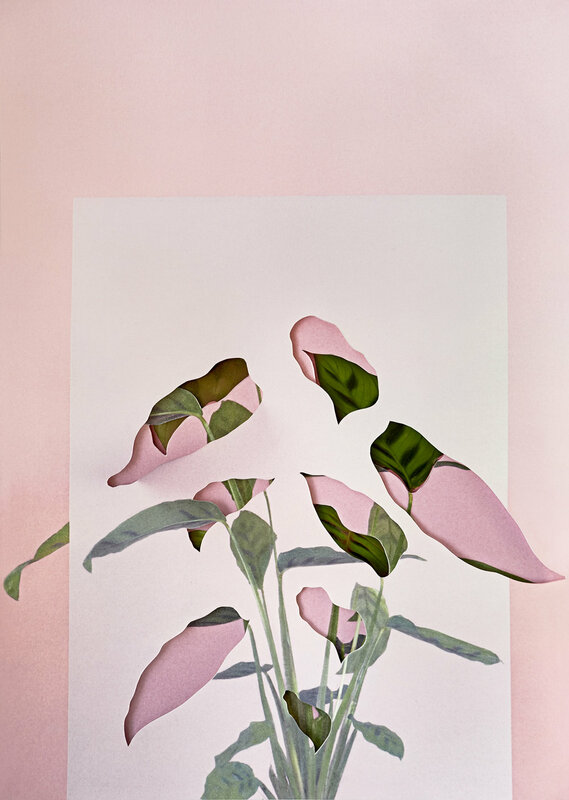 She weaves the “real” and “fake” versions into a confusing montage that perverts the conventions of traditional botanical illustration, like a distorted atlas of our ecosystem. The studies seem innocuous but warn against lending too much faith to what you see. With a similar sort of clinical precision, the “prototypes” and “patients” from Haser’s popular series Cosmic Surgery (2014-2017) imagine a new generation of bionic people who don origami-inspired facial implants to thwart surveillance systems and enable sustained mood enhancement. The origami shapes, traditionally drawn from nature-based motifs like flowers and stars, look somewhat organic but freakish — a hallucinatory vision of future humans. Finally, Jonas N.T. Becker’s Holographic Mountain purports to be a promotional video for a fictional environmental startup that addresses an actual real world problem. It proposes large-scale holography as a solution to mountaintop removal coal mining, an extremely destructive process that leaves land barren and poses a range of ecological hazards. Couched in the language of design innovation and corporate responsibility, the video and related “marketing collateral” which comprise the larger installation, Please Enjoy…, play with the lexicon of social change, prescribing an unnervingly plausible marriage of nature and technology. Connie Samaras (b. Albuquerque, New Mexico) has been included in several major exhibitions, most recently a large-scale installation for the New Museum's 2017 exhibition, Trigger: Gender as a Weapon and a Tool, as well as a 2013 solo survey, Tales of Tomorrow, at the Armory Center for the Arts. She is the recipient of numerous grants and awards from pioneering arts initiatives like Creative Capital, the Warhol Foundation, and the National Endowment of the Arts. She is a professor emerita of art of University of California Irvine. Alma Haser (b. 1989, Black Forest, Germany) has had recent exhibitions at The Photographer’s Gallery in London and at UNSEEN in Amsterdam. She was the recipient of the Magenta Foundation’s Bright Spark Award for Cosmic Surgery in 2013 and was shortlisted for the Taylor Wessing Portrait Prize at the National Portrait Gallery for an earlier series, The Ventriloquist, in 2012. Jonas N.T. Becker (b. 1982, Morgantown, West Virginia) has had recent solo exhibitions at Actual Size Los Angeles, Craft & Folk Art Museum Los Angeles, Shulamit Nazarian, and the Lancaster Museum of Art & History. His work has been included in group shows at Santa Monica Museum of Art, Los Angeles Contemporary Exhibitions, LAXART, the Museum of Contemporary Photography, Chicago. He is an Assistant Professor of Photography at the School of the Art Institute Chicago.